USMC Veteran Grant! We know you and Ziggy will make a great team! Blue Ridge Lane German Shepherds would like to thank you for your service! All Military personnel active & retired will receive $50 off their puppy purchase! We are military veteran owned and operated, so we understand what you go through and appreciate the sacrifices that you & your family make on a daily basis. Your lives are forever changing as you move to new places & leaving your spouse and children behind for deployments is very hard. Our German Shepherds are wonderful companions and make those changes easier for you & your family! They easily adapt to any climate and offer a "piece of home" no matter where you are. We have been donating dogs for over 7 years, pairing over 45 veterans with GSD's that we have either bred or have rescued and trained as prospective service dogs. 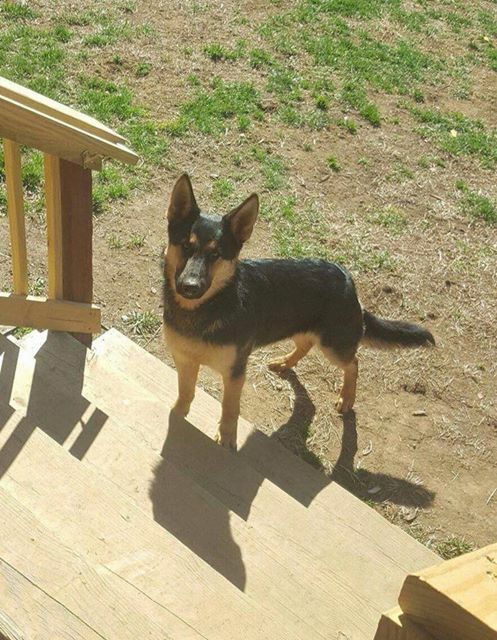 All of our dog donations are 100% funded by Blue Ridge Lane German Shepherds. to qualify for one of our dogs you must have a combat action related mental or physical disability, and provide us your DD214 for donation approval. a base somewhere around the world and not being able to afford transport- check this out! http://www.military.com/money/pcs-dity-move/transporting-pets-military-options.html they transport for a minimal fee. 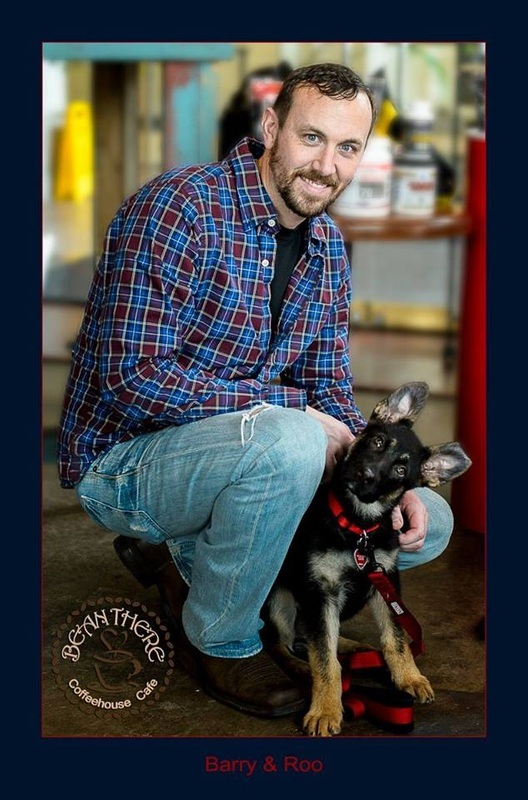 A Very Special Congratulations to Veteran Barry & his donated Blue Ridge Lane GSD Roo! Owned a dog before Currently own a dog Always wanted a dog, but never owned one. Wounded in action? Medically Retired?